Do you keep a sketchbook or journal? Would you like an opportunity to meet with others who share your interest and be inspired by their work? Are you interested in sharing information on the newest pens, paints, and other supplies? Then join us! This group is open to journal and sketchbook artists of any skill level. We’ll discuss methods, materials, and media. At every meeting we’ll have discussion, share our work, and engage our minds with a fun sketching/journaling exercise. Registration is not required. Explore the beauty of language through readings and discussion. For enthusiasts or those new to reading and writing poetry, this group celebrates the artistry of poetic expression. Registration is not required. This club for photographers, photo-historians and enthusiasts meets weekly. Activities and topics include photo critique, review, survey of techniques and hands-on instruction. The Society exhibits the work of its members at locations around the state. No registration required. Discover your creative side! Families can explore performance, visual and language arts through fun, hands-on activities. Arts for All themes engage participants more deeply with the GPAC’s exhibits. Children must be accompanied by an adult. 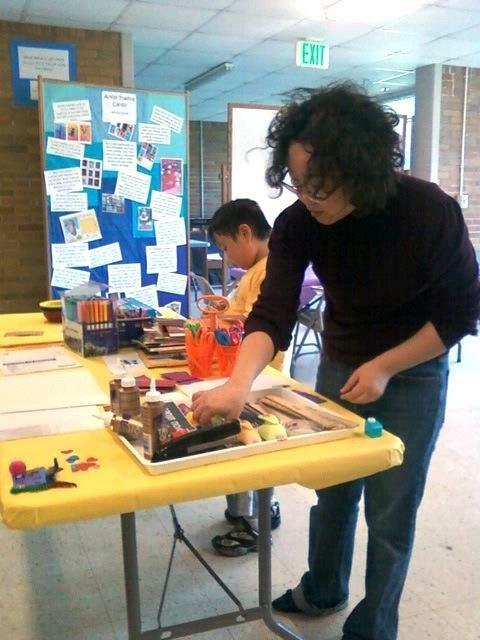 Arts for All is open every Saturday from 12pm-4pm and Sunday from 1pm-5pm. Walk in any time during those hours to participate. Remember, there are ALWAYS free things to do at the GPAC during open hours. We welcome you to check out the exhibit or draw using our drawing boards, paper, and pencils.